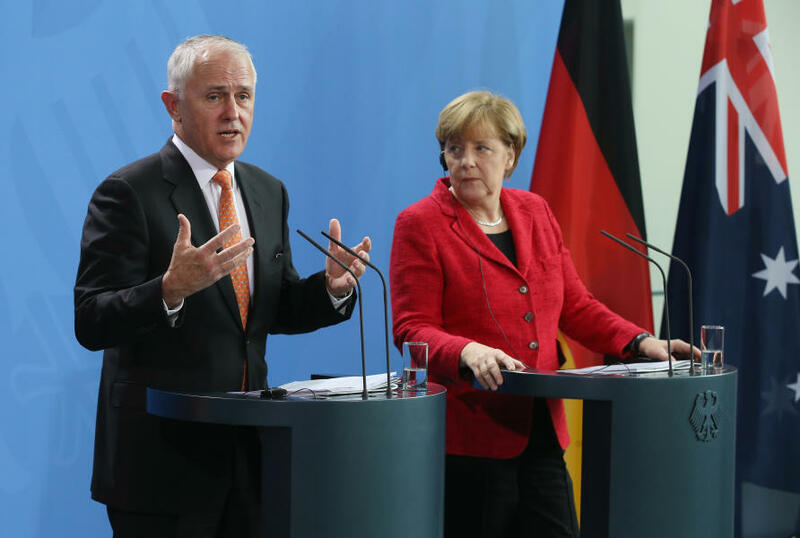 Prime Minister Malcolm Turnbull and German Chancellor Angela Merkel speak to the media following talks in Berlin on November 13, 2015. Picture: Sean Gallup/Getty Images. Britain’s momentous decision to leave the EU will have consequences for Australia’s relationship with Europe. Speculation that Brexit will undermine this relationship ignores the significant progress made over the past two decades. 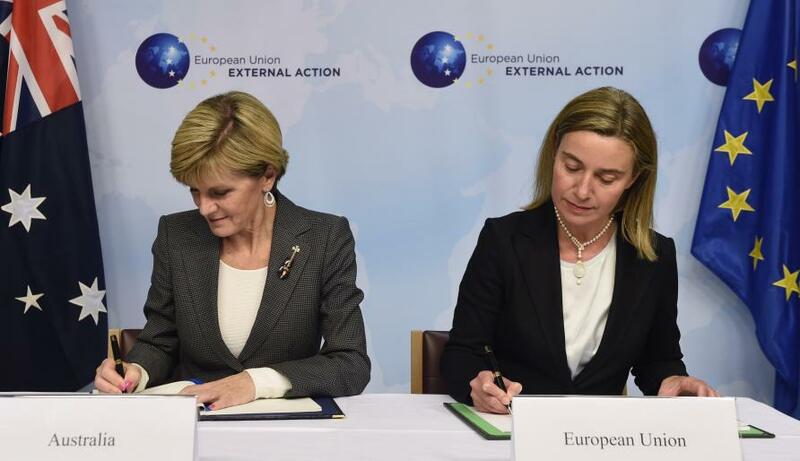 The Australia-EU engagement is far more than an extension of Australia’s relationship with the UK. Brexit should not change this. It is true that Australia’s links with Europe have not always been strong. Historically, Australia was not a key partner for the EU. According to Piers Ludlow, the EU regarded Australia as ‘too far away, too rich and too stable’. For their part, Australian governments focused on close ties with the UK, paying little attention to the rest of Europe. Australia’s special trade relationship with the UK dated back to Imperial Preference for products from Commonwealth countries. When the UK joined the then European common market in 1973, this comfortable trading arrangement came to an abrupt end for Australia. For several decades Australia and the EU were involved in tense encounters and diplomatic quarrels regarding the EU’s Common Agricultural Policy. Trenchant criticism focused on Europe’s distortion of world markets and near-exclusion of Australian primary agricultural goods following British accession. Yet, despite past friction, economic cooperation increased over the years. Trade and investment relations intensified and the EU became one of Australia’s most important trading partners. It is still Australia’s largest partner in two-way services trade and its largest investment partner. The EU is Australia’s second largest trading partner after China. The decision to commence negotiations on an FTA with the EU reflects that strong relationship. Australia would have preferred to retain the UK in an FTA. With Brexit, Australia now loses a like-minded state on neoliberal trade and will likely face a very different EU trade negotiator. We may see a delay in formal FTA negotiations as the EU deals with the Brexit fallout. Although the UK has been Australia’s most significant export market in Europe (in 2014, it was Australia’s 8th largest export market, representing 37% of Australia’s total trade exports to the EU), Australia will need to continue to strengthen ties with the other EU economies. In comparison, Australia represented 1.4% of the UK’s exports. It remains to be seen where Australia will rank once the UK is in a position to commence its own trade negotiations. Australia can ill afford to shift its focus to the UK at the expense of the rest of Europe. Prime Minister Turnbull made it clear that the government will pursue trade deals with both Britain and the EU. Holding steady will be a crucial task for the government. Australia is an attractive location for European businesses within the Asia Pacific region. There are strong bilateral investment flows that have facilitated the establishment of some 2,400 EU companies in Australia. This situation is unlikely to change significantly with Brexit. What may well change is the pattern of Australian companies using the UK as a gateway into the EU market – they may now choose a continental state or Ireland. Once implemented, the new Framework Agreement will further boost Australia’s expanding engagement with the EU on political and economic issues – education; culture; development cooperation; sustainable development and law enforcement for example. The distance that has been traversed from past tensions shows that the sustained hard work on both sides makes this a successful partnership. It is unfortunate that the UK will no longer contribute to this enhanced relationship. 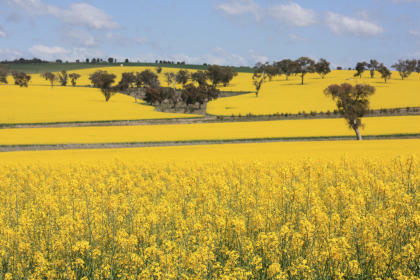 Canola crop, NSW. Agricultural trade barriers have been a source of friction between Australia and the EU, but bilateral trade and investment has grown. Picture: Jan Smith/Flickr. Both Australia and the EU seek to tackle contemporary challenges through international cooperation and multilateral frameworks. They cooperate in the UN, WTO and the G20. The need for like-minded partners to tackle global challenges has not been reduced with the imminent British exit. If anything, Brexit illustrates what happens when states retreat from their partners. The UK has not become a new global power following its decision to leave the EU. Rather, Brexit will further erode the UK’s impact both regionally and globally. Now more than ever, the UK will need to work with a range of partners and allies if it is to have any significant impact – including Australia. The Australia-EU relationship – even as the UK is negotiating an exit strategy – will continue to be a government priority. Recent governments have sought to ensure that Australia feature positively and prominently on the EU’s radar. These challenges may underpin future discussions but they will not undermine the mutual benefits that have been forged over several decades. *Professor Murray and Dr Matera are editing a special issue of the Australian Journal of International Affairs on Australia’s relations with the EU. We hear from global voices about our future in the urban age: how can cities and citizens rebuild our human habitat in relation to living natural systems? For several millennia during the Last Interglacial period, temperatures were higher than pre-industrial levels and that had an impact on our climate system. But with recent dire forecasts of global warming, what can the past tell us about the future of our climate?